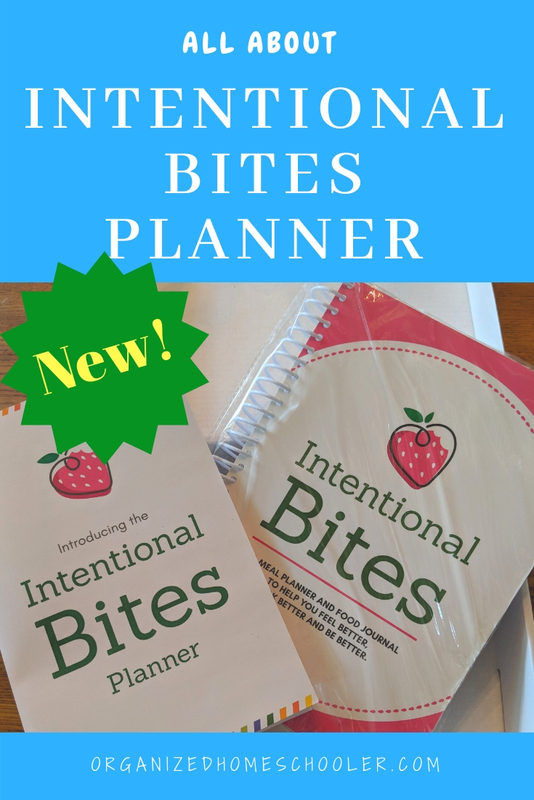 I received a review copy of Intentional Bites Planner in exchange for my honest review. All opinions are my own. Over the past year I have been trying to figure out the best diet for me. I met with a registered dietitian and read countless books about nutrition. This provided me with tons of nutrition facts. There was still a missing piece though – keeping track of how specific foods made me feel. 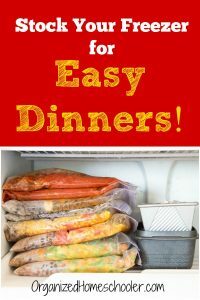 Thankfully, Erin Chase, from MyFreezEasy, put together an amazing meal plan and food journal – the Intentional Bites Planner. I fully believe that there is no one perfect diet for everyone. Sure, some general nutrition rules make a lot of sense. Pretty much everyone benefits from eating plenty of produce and drinking enough water. The specifics vary though. It can be difficult to determine exactly how you react to different foods. Years ago my husband suggested that I try eliminating foods to see if I could determine a trigger for the weekly debilitating migraines I was getting. After a month of no gluten, I realized that I had not had a single migraine. This was years ago and eating a gluten free diet was not common yet. At the time my doctor told me that the connection must be all in my head because gluten couldn’t trigger migraines. Ugh! The science hadn’t caught up with what I was learning about my body. Now doctors are not surprised to learn that gluten triggers migraines. I’m so glad I took the time to learn my own triggers. I wish I had a copy of the Intentional Bites Planner back then. 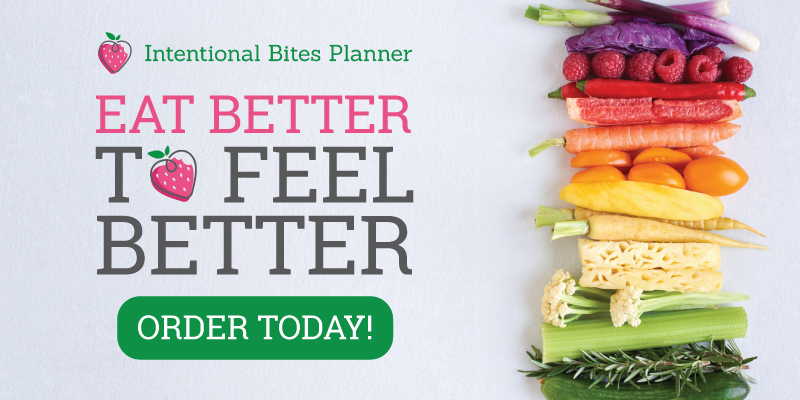 The Intentional Bites Planner is not a diet plan. It is a combined food journal and meal planner that will help you determine the best diet for you. 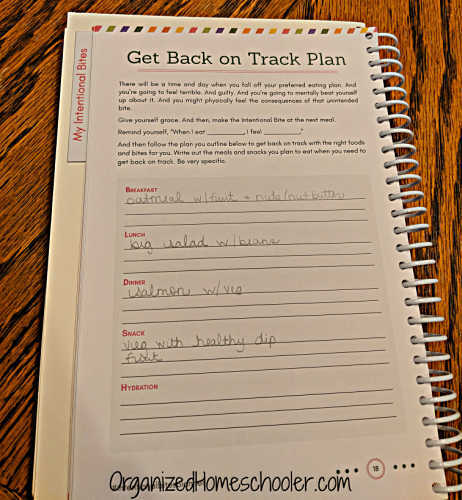 If you already have a healthy eating plan that works for you, this planner will help you track your meals. This planner starts off by asking you to take a look at your personal goals. What foods are you initially off limits? What will you order at restaurants? I thought about skipping this step, because I didn’t think it was necessary. I was wrong. Taking the time to think through and write down substitutions was actually really helpful. There is something powerful about putting pen to paper. It cements the goals and makes you really consider what you want. Having an advance plan of foods I would eat at restaurants or what I would eat if (in reality, when) I had a bad day was really helpful. It kept me from saying ‘Oh well, I slipped up and might as well eat a big bowl of ice cream’. The thing that makes this planer unique is the space to note how you feel. Being able to keep track of how you feel is a crucial part to determining the best foods for you. 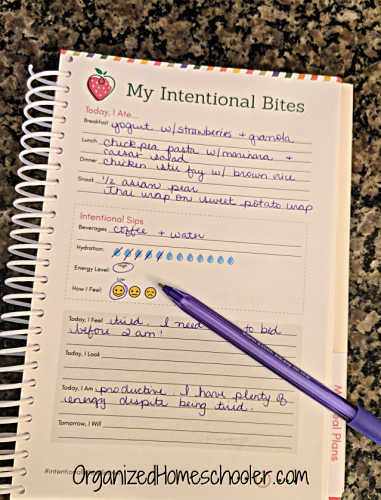 After a few weeks of tracking my food in the Intentional Bites Planner food diary I noticed that I felt tired and easily distracted when I didn’t eat enough protein. My energy and productivity levels soared when I added a little extra protein. I don’t think I would have made that connection if I hadn’t tracked my food and moods. It is really hard to eat healthy without a plan. 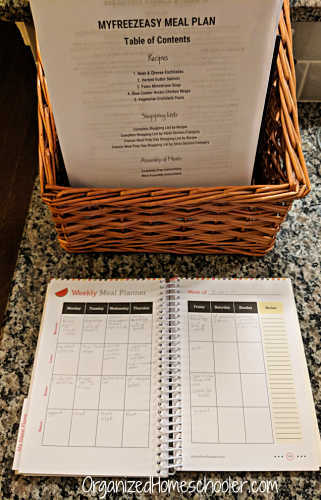 The Intentional Bites Planner includes a weekly meal plan calendar with space for all meals and snacks. 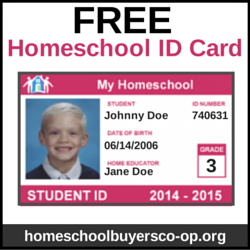 It also includes a grocery shopping list. 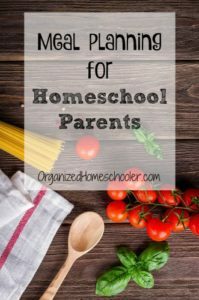 Each weekend I would look through Pinterest and some of my favorite cookbooks to choose healthy meals for the week. 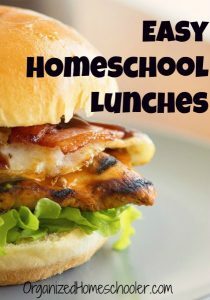 I have always meal planned, but usually don’t assign meals to breakfasts and lunches. 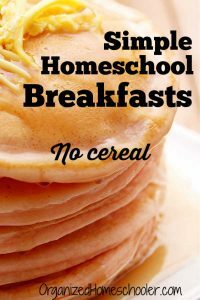 Life is busy now that we have started our new school year, so I went ahead and made a firm plan for breakfast and lunch too. It actually was really helpful! I was able to make sure that things were prepped in advance so I didn’t need to stop to cook lunch in the middle of the school day. Taking a half hour or so every weekend to meal plan and a few minutes every day really helped me figure out how to feel my best. My energy levels are higher than ever despite life being super busy right now. 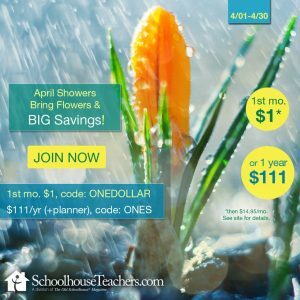 Homeschool moms are busy people . . . we need all the energy we can get! 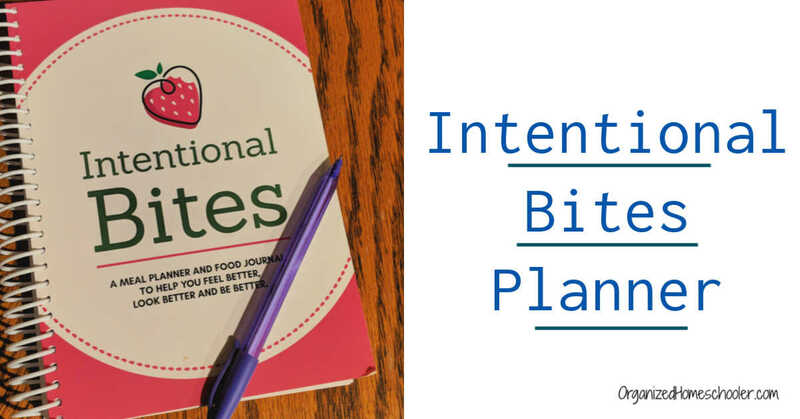 I highly recommend using the My Intentional Bites Planner to figure out how to feel your best. Join the 2-27-1 FREE Challenge to get the support to stick to your goals. It can take a full month to identify which foods are right for you. Have you ever tried using a food journal and meal plan? How did it go?